CAN YOU MAKE MORE MONEY AS A FREELANCE WRITER? This is a snapshot of my freelance writer earnings from last month, AND GUESS WHAT – I only wrote a few articles. DO YOU KNOW HOW TO MAKE REAL MONEY AS A FREELANCE WRITER? I’m talking about light bill paying grocery buying money. I get emails daily from people all over who WANT to make money writing but they fail to do so because they don’t commit to learning HOW TO ACTUALLY DO IT. The thing is just like the tv show, “Dancing with the Stars” it’s best to get professional help when you don’t know how to tango so you don’t look like an idiot on the big stage. DO YOU KNOW WHY YOUR ARTICLES ARE NOT BEING PUBLISHED BY EDITORS? There is a specific reason why and the sooner you figure it out, the sooner you can make the adjustments which will grow your income and save your reputation. It’s true, you only get one chance to make a first impression. So if you don’t know what you’re doing you could be hurting your own career by taking actions that will impact how you’re perceived in the future. You send an editor a pitch for an article. Because you “don’t really know what you’re doing” the pitch comes off to the editor as, “great, another unprepared wannabe freelancer-DELETE”. Now, how do you think they will look at your next pitch in the future? This is why it’s so critical to get training so you can AVOID making costly mistakes like this in the first place. DO YOU WANT THE KNOWLEDGE TO ACTUALLY MAKE A LIVING WRITING? Most people fail because they simply quit before they figure out a system that works. 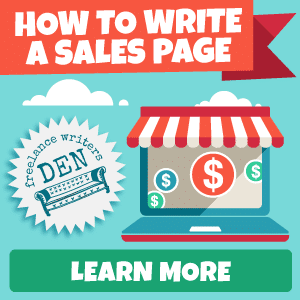 It doesn’t matter if it’s selling hot dogs, houses, or 500 word blog posts. Success is a function of Knowing what to do + doing it. Most never get to the “doing it” part because they underestimate how long it will take them to “figure it out on their own”. Also, they underestimate their own impatience with not being successful after having measly results like $5 per article for months. There is a better way and it takes more than reading a few blog posts to figure it out. However, it doesn’t take 12 semesters at college either. The best way to get catapulted up the learning curve is with the freelance writer boot camp which starts on June 5th. If you are serious about your freelance writing career you can’t afford to miss it. Darnell, under your toolkit you list Photoshop,and I’ve neglected never learning how to use it. Should I buy the most updated version or will a used copy be olive I can find it?